Wonderland Slot: Eat The Cake Or Refuse The Drink? Lewis Carroll’s most famous story, Alice in Wonderland, has already been the theme for a number of slots produced in the past few years. Alas, the new Wonderland slot takes the experience to a new level, with not just one, but two progressive jackpots. You can select which of the two jackpots to play for before you play and the great news is that you don’t need to “Bet Max” for a chance to win the big money. Let’s see how this new take on one of the most popular children’s tales of all time translates into the world of online slots in New Jersey. The Wonderland slot offers a new take on the Alice in Wonderland story, with some innovative and stylish graphics, clever use of sound, and, of course, the addition of two progressive jackpots, plus four bonus games that each offer you the chance of landing that big jackpot prize. The slot itself is a 5×4 reel slot with 100 paylines in play on every spin. It was created by Ash Gaming, which is part of Playtech. The different wagers you can select are shown at the foot of the screen (with the “More Bets” button revealing cheaper/more expensive bets as required). Simply click on your choice of bet and keep clicking the button to get the reels spinning. Wagers start at around $1 up to a maximum wager of $50. Who will the Wonderland slot appeal to? Children’s story and nursery rhymes are a rich source for slot developers and they enjoy a healthy following. As such, there is no doubt that the Wonderland slot will have mass appeal with players who enjoy these themes but also those who like slots packed with different bonus games. Wonderland has four bonus games, each of which offers a chance to land the progressive jackpot and they give the slot added appeal. Combined with 100 paylines and a 5×4 layout, this means Wonderland will be attractive to players looking for something different than the usual 5×3 format, too. 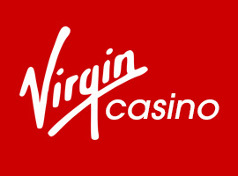 Wonderland is available at what we consider to be one of the best NJ online casino sites, VirginCasino.com. Maybe you’ve tried its partner site Tropicana, but haven’t yet given it a look. If you fall into that category and have an interest in Wonderland, what better reason to stop by? When you first start playing Wonderland and you seem to win quite often, it is easy to fall into the trap of thinking that this is a low variance game. However, while wins are generally common, the vast majority of wins are less than your initial stake. So, despite thinking you are making money, you are just losing it a little less quickly. It is vital to remember that, like all progressive games, Wonderland is more of a medium to high variance game, even despite those regular base game payouts. The good news is that among these lower value wins, you can occasionally hit a bigger prize. These are usually triggered when you hit a number of wilds alongside the higher value symbols (some of the key characters from the Alice in Wonderland story) across a number of paylines. The symbols in the game are a mix of artifacts from the story, which are the lower value symbols, and the characters in the story (including Alice, the Mad Hatter, White Rabbit and the Cheshire Cat) are the higher value symbols. The Eat Me cake is the in-game wild, and this is very useful in the base game as it helps create many more winning paylines substituting for all high and low symbols. The scatter symbol is the Drink Me potion bottle and you need to land three or more of these across the reels to trigger the four bonus games. It is through these four bonus games (Croquet bonus game, Mad Tea Party bonus, Painting the Roses bonus, and The Queen’s Court bonus) that you have a shot at taking home the progressive jackpot you chose at the start of the session. Painting all the roses red before the queen appears in the Painting the Roses bonus game. Turning the Joker card in the Queen’s Court bonus game. Playing five croquet hedgehogs with gold stars on their stomach in the Croquet bonus. Selecting the cake with the Progressive Coin in it at the Mad Tea Party bonus. Without doubt, the bonus games are what gives Wonderland added appeal beyond the base game. There are four different games to play and each offers you a chance to land the progressive jackpot as outlined above. During the base game, the wild symbol lands across the reels very frequently and helps the player trigger more wins. It can also be the key to unlocking some of the bigger base game wins when they come along. The Drink Me potion bottle is the key to unlocking the bonus games as you need to land three or more across the reels on a single spin. However, unlike some scatters, this doesn’t pay a cash bonus when you land two or more on the reels. Each of the four bonus games offers players the chance of winning both a decent amount of money, or even the progressive jackpot fund they chose to play for it at the start. This adds a great deal of excitement and anticipation. The fact that you can win such large amounts in the base game on rare occasions also adds a good deal of excitement. Regular smaller wins help keep the balance topped up, but most smaller wins are less than your stake. The way the slot looks and plays is very distinctive and certainly isn’t a style replicated in many other slots I’ve played. That, combined with clever use of sound effects throughout the game, ensures the game looks and sounds beautiful. Landing the scatter symbols in the base game isn’t easy and it can take many spins to land the scatters, if at all. And if you hit the game when it is playing tightly, then you can find that Wonderland is expensive. A medium to high variance slot means that bigger base game wins do come along at intervals, but the regular wins are generally much smaller and often not as much as your stake. This means that your balance can take a hit if you play for too big a stake. One of the big disappointments is that you don’t receive a win when you land two or more of the Drink Me bonus scatters on the reels. Even though these wins are generally small, they would have been a welcome addition to funds. Given its distinctive look, the four bonus games, two progressive jackpots, and the occasional big money base game win, Wonderland has a lot going for it. However, hit it when it is running cold and your balance can take a hit. Good bankroll management is the key to unlocking the best features of this beautifully crafted slot. Presentation-wise, the slot looks and sounds fantastic. The graphics are uniquely styled and the background music (complete with sound effects) makes the game look outstanding. Other than the fact this is a 100-payline machine on a 5×4 setting, complete with two progressives, the actual mechanics of the gameplay aren’t radically uncommon. It’s the bonus game features that bump this mark above the average. Those low base game wins do hit hard after a while and you can quickly find your cash reserves depleting. Big wins do come along, however, so you can get good value from the slot. But as in all medium to high variance games, this is a bit hit and miss. Depending on which progressive you choose to play for and how the game plays when you have a session, the jackpot potential on the Wonderland slot can be excellent. Your chances of winning the progressive may be small, but at least there is a big win available and you don’t need to “Bet Max” to stand a chance of winning it. There’s certainly enough in the Wonderland slot to keep you coming back for more. The base game can hit your funds hard at times, but the bonus games and the progressive jackpots will ensure that most people give this game a good few sessions. Given its distinctive look, the four bonus games, two progressive jackpots, and the occasional big money base game win, Wonderland has a lot going for it. However, hit it when it is running cold and your balance can take a hit. Good bankroll management is the key to unlocking the best features of this beautifully crafted slot. Play NJ > New Jersey Online Slots > Wonderland Slot: Eat The Cake Or Refuse The Drink?